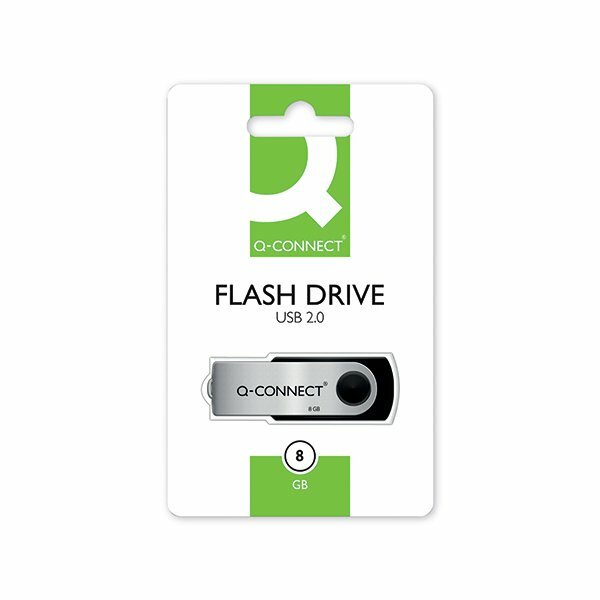 The compact and stylish Q-Connect USB 2.0 Swivel Flash Drive is an economical choice for file transfer and backup. It features a convenient 360 degree swivel casing to protect the USB connector from damage - no cap to lose. There's also a lanyard hole for easy portability. Suitable for Windows and Mac computers, this drive contains 8GB of storage for documents, video, photos and more.